Drug Delivery Blog: Is Government The Solution To Early-Stage Delivery Development Problems? Is Government The Solution To Early-Stage Delivery Development Problems? By my estimate, several of the issues I identified will reach critical mass over the next 10 years leading to a crisis in new product development efforts. Later stage clinical development efforts – rare as they are – may be alright for now provided they retain enough patent life and address a real medical need. The return on investment for a lower-risk, later-stage clinical effort justifies the expense of the trial. In contrast, early-stage discovery and development efforts are more risky and often lead to pre-competitive discoveries that do not, in themselves, provide patent protection for the downstream compounds they spawn. Unfortunately, those downstream compounds source the next generation of later stage clinical development efforts. How does this affect the research tools marketplace? Innovative companies – like those exhibiting at DDP – with great early-stage research technologies must struggle to show sufficient ROI value. Because of this pre-competitive dynamic, they are incentivized to abandon otherwise promising research technology at the first sign of a possible clinical compound and refocus their efforts on clinical development. I wish DDP were filled with technology companies that had not a thought of pursuing their own clinical compounds. But our current system doesn’t allow that; the people who fund us won’t benefit from early-stage technology because it is not profitable. It is not profitable because it is pre-competitive: It gets diluted into a space where the risk is high and any rewards for success become available to all so that the ROI becomes unattractive. However, as a society we benefit from new drugs that deliver better health, from increased productivity associated with that better health and from reduced overall medical costs associated with more effective disease treatments. Unfortunately, we are not willing to pay for the new drug when its cost is isolated from all those benefits. So if the end value of a new drug or delivery technology is there, but the willingness to pay for the early-stage drug discovery and development is not, who can recognize the value to society of the early stage efforts to source compounds as drug candidates? Who is willing to invest in pre-competitive technologies, at an expected loss, for the benefit of others? I propose the government. In 1945 Vannevar Bush wrote a report to the President entitled “Science the Endless Frontier,” which advocated for increased government support of scientific research to expand the economy through the development of new high-technology products. As a result of that report, government funding of research expanded dramatically to create a vast reservoir of new technologies, available to all, from which new industries emerged. In the 80’s, the Bayh-Dole Act modified this ‘available to all’ concept by recognizing that commercial development required patent exclusivity. That contributed to the creation of the biotech industry. We are now faced with a different economic reality: Pre-competitive technologies require more than patent exclusivity to get developed. They require additional funding; funding coming from a source that is less interested in ROI and more interested in providing a reservoir of opportunities for all to utilize to create new pharmaceutical products. In that sense we are back to the original 'Endless Frontier', but with the need to go further downstream from basic research almost to product concept. STTR and SBIR programs address some of this need, but on a scale too small and with a focus too commercial. The government can create new product opportunities by supporting the early technology and research tools industry from its inception, displacing VC funding and allowing concepts with unfavorable ROI’s to provide the needed advanced technology to seed product concepts from which the pharmaceutical industry can develop new drugs. The problem is that while we, as a society, benefit from new pharmaceuticals, the public perception of the value of pharma has become so poor that no argument can realistically be made to justify this lifeline until the industry is truly suffering. The “good” news is that 10 years from now the industry may truly be suffering, and at that point, hopefully, the public will once again recognize the value of innovative drug development and delivery technologies. 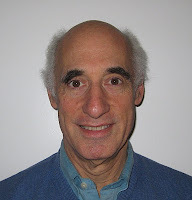 Peter B. Kramer is a consultant for Princeton Technology Consulting (www.PrincetonTC.com), a business development services provider to the biopharmaceutical industry with a focus on technology transactions and strategic planning. Dr. Kramer was previously Executive Director at Bristol-Myers Squibb, where he formed and headed up the Technology Transactions Group to negotiate research and development collaborations in support of drug discovery and development. Dr. Kramer has 25 years of pharmaceutical, biotech and university transactional experience and was the co-chair of the Drug Delivery Partnership conference for 7 years.